An adventure lasting 4 days from May 31st, 2017 to June 4th, 2017. Las Vegas is famous for the casinos, shows, and nightlife but it is a vibrant city with a lot to offer any adventurer. Aside from the city there are also a large number of side-trips that are close to Vegas including the Grand Canyon, Hoover Dam, Great Basin National Park, and countless other opportunities. We planned a long weekend to see the city along with a day trip out to the Grand Canyon and Hoover Dam. We were in Vegas for only three and a half days, and there was still a lot more that we could have done, but at the same time Las Vegas really feels like a destination where less is more. I would personally prefer multiple shorter stays in Vegas over trying to fit as much as possible into a single, longer trip. Las Vegas definitely lives up to it’s nickname of “Sin City”, at least at night, but that does not mean that there is no room for families or children. There are all types of shows that are appropriate for children, as well as a number of attractions and activities, such as aquariums, observation towers, and the Ferris Wheel, which is currently the tallest in the world. That being said, there is no real way to completely avoid the risque nature of the city; advertisements can be borderline inappropriate, the occasional flyer for adult clubs can be found on the streets, and, especially after sundown, a number of people on the streets will be particularly scantily clad. 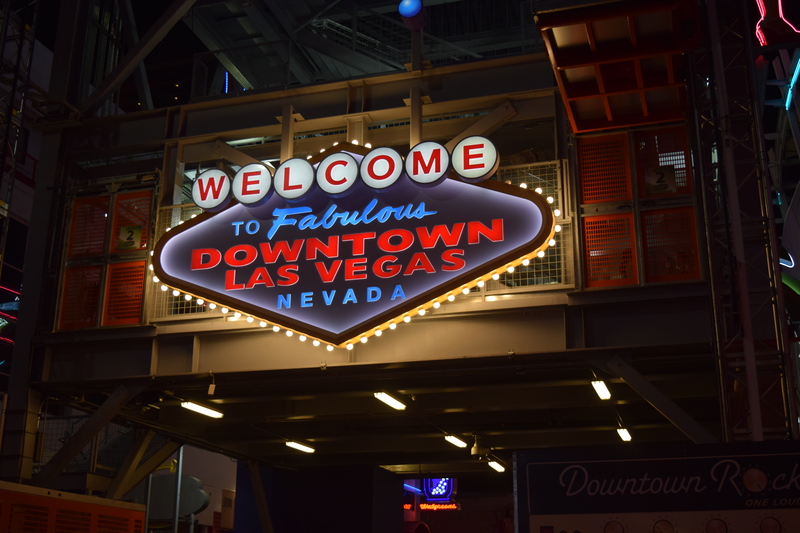 Our plans for this adventure were fairly laid back; see the strip, see the Grand Canyon and Hoover Dam, see the Cirque Du Soleil Beatles show, and take the Zip Line down Fremont Street. Any spare time would be played by ear. One of the great things about Vegas is no matter how much or how little planning you do, you can always find something to keep you occupied. If you want to plan your own party in Vegas, reach out today.